John Landis has created a truly impressive body of work, and his Eddie Murphy collaboration Coming to America is no exception. Now, the film is getting a sequel. While it'd be understandable to have some trepidation about the project, the good news is that it will feature a screenplay from Barry Blaustein and David Sheffield — the same writing duo who penned the original film. 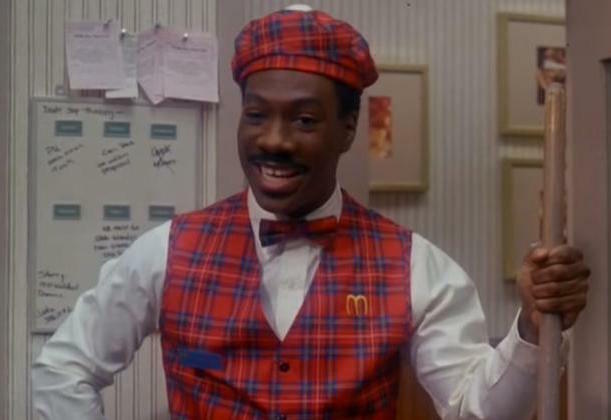 Naturally, Eddie Murphy is planning to star in the film, which will be produced by Kevin Misher. A director has not yet been named. For now, that's all we know about the project. Thanks to The Tracking Board for the tip.